Since Bob has appeared, I've made huge strides in my life. For more than a decade I was a homeless drug addict. I was lost to the world and had forgotten what was important in life. Now I've got myself back on my two feet, but as I put the past behind me, I'm still stepping unsteadily into the future. I still need help in the right direction. Bob is always there to offer guidance and friendship.' James and his street cat Bob have been on a remarkable journey together. 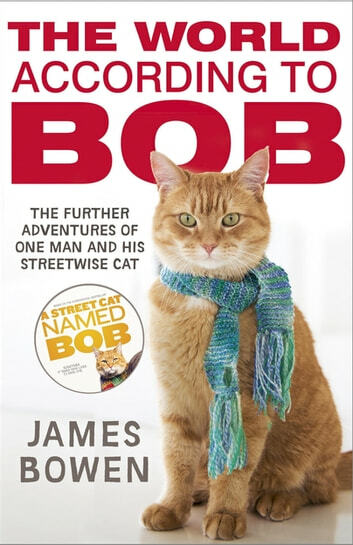 In the years since their story ended in the bestselling A STREET CAT NAMED BOB James, with Bob's help, has begun to find his way back to the real world. 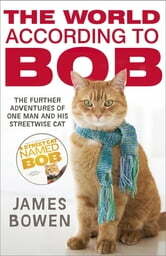 Almost every day, Bob provides moments of intelligence, bravery and humour, at the same time opening his human friend's eyes to important truths about friendship, loyalty, trust - and the meaning of happiness. In the continuing tale of their life together James shows the many ways in which Bob has been his protector and guardian angel through times of illness, hardship, even life-threatening danger. As they high five together for their crowds of admirers, James knows that the tricks he's taught Bob are nothing compared to the lessons he's learnt from his street-wise cat. Wonderful to know what's happened to James and Bob after the events of the first book. I am extremely happy for both of them and the inspiration they give to others, and the message of never giving up, no matter what is loud and clear. Read first book, which I strongly recommend. This book is still good and interesting.